Whenever we've eaten nachos at restaurants or elsewhere, David and I are usually disappointed by how it's served. You have to eat all the dip before getting to the chips at the bottom which are almost always soggy by the time you get there. I made my version of nachos for David last week and here's a picture! We have a separate small bowl each which has some nacho salsa in the bottom, and I serve this with a fork. 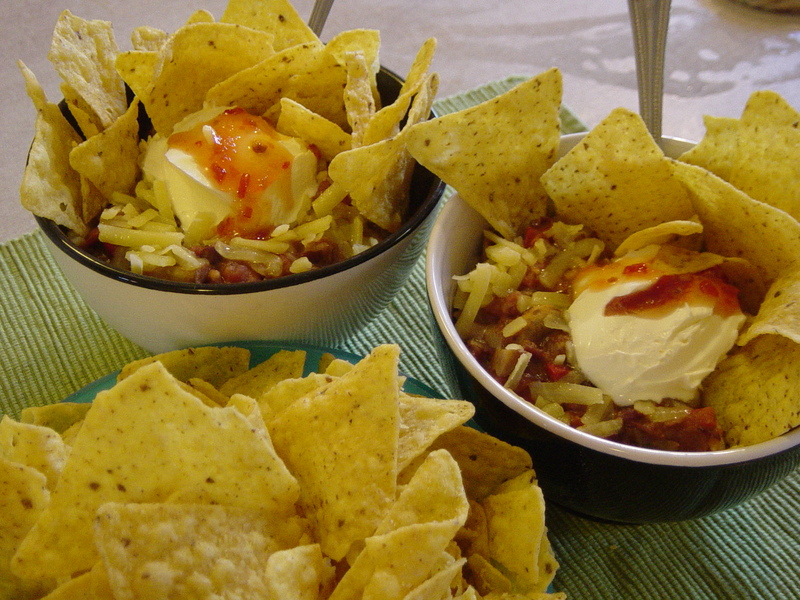 On top of the nacho salsa I put a sprinkle of grated cheese, a dollop of sour cream and some sweet chilli sauce. Some plain corn chips are then stuck in the top where you can get to them easily, the rest of the corn chips I serve in a separate bowl. I'd forgotten I had bought some prepared nacho salsa, as its been ages since I've made this and thought I might need it. But I went on auto pilot, this being a common recipe from my past. I made a vegetarian salsa for the nachos, with a red kidney bean and tomato base. 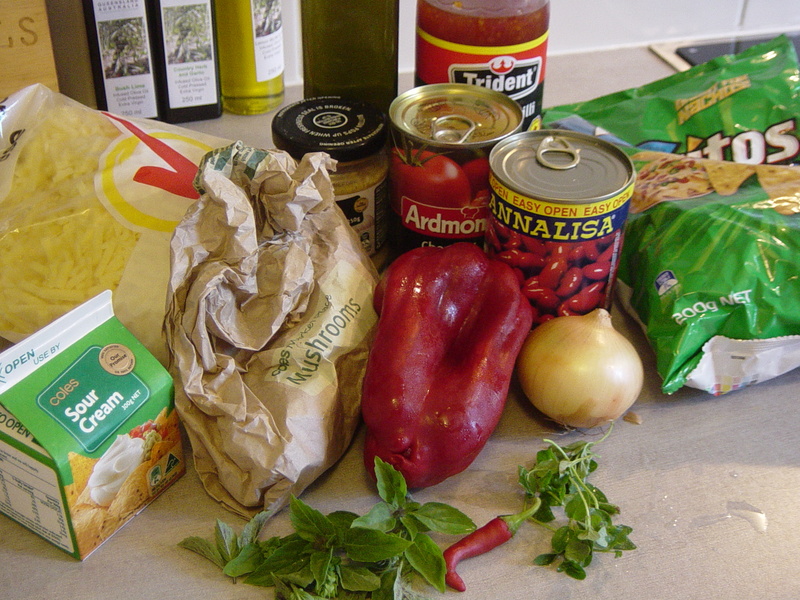 Here's a photo of the ingredients before I began. I also added some soy sauce and sugar later to taste.